Roger and Debbie Callan have been in the car stereo business for more than 34 years. 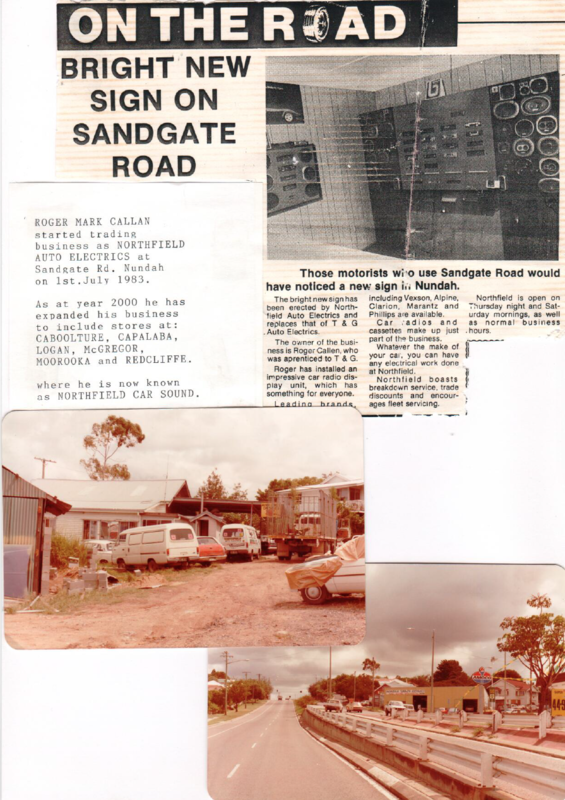 They started the Northfield car business in 1983 with their first shop, Northfield Autos on Sandgate Road in Nundah. The business focused auto electrical work until 1995, but with the rising popularity of mobile phones and stereos, in 2005 they decided to change the name to Northfield Car Sound and move into a larger shop next door. In addition to the refocus and expansion of the business, Roger opened an additional shop in MacGregor. Today, Northfield Car Sound is continuing to be one of the top recommended car stereo businesses in Queensland. With the majority of its employees having over 15 years of experience, Northfield can take pride in the reputation that it proceeds.